The title says it all. It is exactly how I feel about this frosting. I love it. It can be as dense, sweet, semisweet, or bittersweet as the chocolate you use to make it. I use it on all my cakes and cupcakes that call for chocolate frosting. 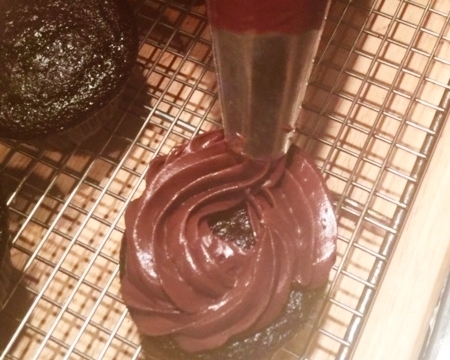 I could call this Foolproof Chocolate Frosting. Or Food Processor Chocolate Frosting, because both would be true, but they wouldn’t paint as complete a picture as the title I’ve chosen. And I’ll let you in on a secret. You can even make it with cold butter. When I’m in a hurry, I cut up cold butter and mix it in the food processor until its creamy, complete the recipe as written and the result is every bit as creamy as when made with room temperature butter. I have an admission. It’s a big one. Not all my guests are created equal. I have Trader Joes’ guests and specialty chocolate shops’ guests. If you are a VIP you get Valrhona or Callebaut chocolate in the frosting. Everyone else gets Trader Joe’s Belgium Dark Chocolate, (about 54% cocoa). 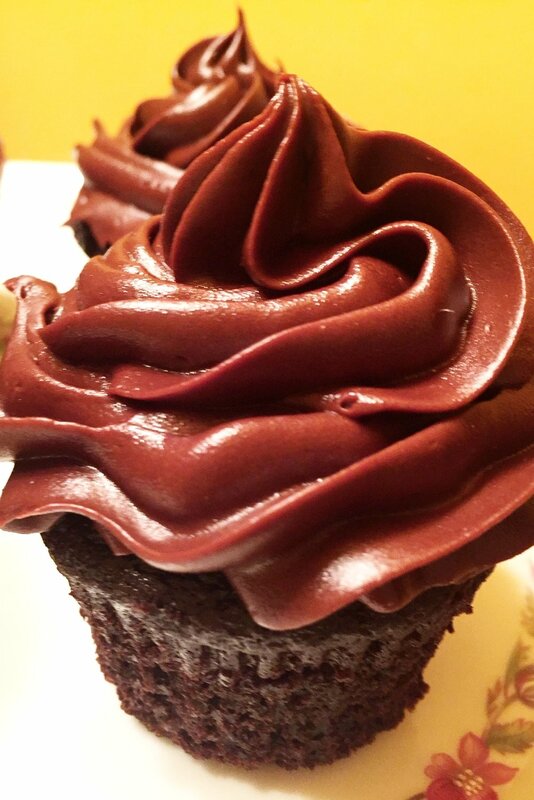 This is such a great recipe that the frosting comes out creamy and rich whichever chocolate you use. The flavor is deeper and more chocolaty depending on the type of chocolate. 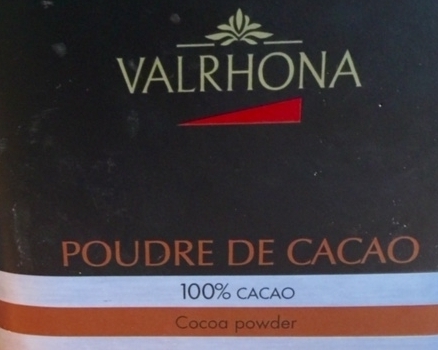 All my guests, however, get Valrhona cocoa, because it is the only kind I buy. After extensive testing, I find it to be so much darker and more intense than any other cocoa on the market that I can’t test and get good results with anything less. This frosting is so velvety and smooth that you can plop it onto the center of the cupcake and swirl it around, leaving a higher dome in the middle and it will look professional. Or, you can put it into a pastry tube fitted with a round or fluted tip and pipe it on. Either way, I don’t think you can find a frosting that goes on easier and swirls higher than this one. In food processor, process butter, sugar, cocoa and salt until smooth, about 30 seconds, scraping sides of bowl as needed. Add corn syrup and vanilla and process just until combined, 5 to 10 seconds. Scrape sides of bowl, then add chocolate and pulse until smooth and creamy, 10 to 15 seconds. Makes about 3 cups, enough to frost about 16 cupcakes. The best unsweetened cocoa I have found. Frost with spoon or a piping tip.